Hello, I’m Ronovan and I write. I write anything and anywhere I can sneak in the door. Jenna left her door open and here I am. Oh that poor trusting woman. The chocoholic has succumbed to her indulgences and is now lying in the corner in a stupor babbling “plots, plots, edits, 15th draft, 15th draft”. I do not understand this rambling of hers but I am taking advantage of it. So I give you . . .
Raise your hand if you know which one Jenna would pick. So here for some actual serious things writers might like to have. One thing an author needs to know is about the publishing options out there, the routes possible. It isn’t all just about an agent and a publisher any longer. Those simple days of hopes and rejections only are long gone. So how does an author know what route is best for them? This isn’t an Amazon deal, oh you can download it for .99, but it is free as of the time of this writing by visiting Smashwords here, and get it for Kindle or even PDF. Don’t know what Smashwords is? Worried about it being legit? It’s legit. A lot of authors use it instead of or as well as Amazon now. I downloaded it and have it on my Kindle at this moment. Let’s say the writer in your life picked the traditional route of going through a publisher. They are going to need some help . Help in what? 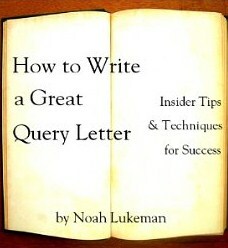 How about help with writing a query letter? There are spouses, parents and even people we wish were our spouses out there now wondering what in the world is a query letter. Or those people are asking how can they help us, if they do know what a query letter is. For those that don’t know-That’s the thing we writers can’t write that’s a page long after writing 400 pages of a novel. Yeah, it’s what gets us in the door with an agent or publisher to take a look at our novel. If you don’t do it correctly, buh bye. So what to do what to do. Writing courses? Pay someone to do it for you? Sure, those are options but then there is this. 35 Five Star Reviews out of 49 Reviews so far on Amazon. I’ll take that. You’re wondering how much, right? At the moment of this writing, it is free. Yes, Free. Click here to go there to download. But maybe the writer decided to go their own way and self-publish. Well they need to know how to do something. What’s that they need to know how to do? How about knowing how to set up their book for Kindle? Building your book for Kindle is something we all face as a writer. Get ready for it. Kindle is the standard and likely to remain so. So who better to tell you how than, Amazon Kindle itself. Click here to download it for, yes, free. I’m not just saying to do it because it’s from Amazon itself. With 1,104 Five Star Reviews as of this writing, I’ll go with it. There is one thing that every author needs to know how to do, regardless of the path they choose. What’s that? In today’s world of being an author you have to do your own marketing. Even if you are signed by a big gun, you still need to know the business and get to marketing. With a review rating of 4.89 out of 5 with 139 people reviewing, I’d say get over to Smashwords and download now by clicking here. You can also go to Amazon and get it as well by clicking here. 73 five star reviews there. And guess what? As of this writing . . . you guessed it, Free to download. Another thing that will help out is something specifically called ebook. Yeah, the ebook, that thing book stores hate. Well, it’s here and it isn’t going away so what do we do? Ebooks are so easy to buy and it’s, well it’s like a pack of Reece’s Peanut Butter Cups at the check out line at the super market. Easy to pick up and consume. Impulse buying even. Free. Okay, got that out of the way. Download at Smashwords here, or Amazon here. Knowing how to reach more readers for your ebooks doesn’t mean that’s the only people you reach. Remember reach them and keep them. Five for Free. I hope these come in handy for anyone looking for some free tips on how to do things. I always like to read whatever is out there and I gain some knowledge to use. Sometimes I read things and learn what not to do. Have a good holiday season and hope your writer, be that the one in you, or the one near and dear to you finds something useful from today’s guest post. THANKS JENNA! I didn’t break anything. Well, I don’t think I did. Ronovan blogs at RonovanWrites.WordPress.com and also started LitWorldInterviews.WordPress.com where you will find interviews with Authors, Publishers, Book Cover artists and all areas of the Lit World along with Book Reviews by a team of reviewers from around the world as well as useful articles on writing, self-publishing and platform building. You can follow Ronovan on Twitter @RonovanWrites. Posted on December 16, 2014 December 16, 2014 by jenspendenPosted in Advice for Writers, Guest WriterTagged Amazon, Authors, Book Marketing, Christmas, D. Patrick Miller, EBook, Mark Coker, Noah Lukeman, publishing, query letter, Smashwords, writers. Wonderful! Thank you so much for this post and these links! Happy Holidays! Can we just forget the coffee and chocolate and everything else I am allergic to? Oh, yes, my biggest author wish ever – an advance to live on for a year!!!!!!!!!!! How ever did you guess? Thank you both! I am getting all of these today! FREE is such a wonderful word! Thank you, Ronovan, for gifting us all with such a wonderful post! I might be begging you to write another one in the future. Prepare yourself! Of course not! Reblog away, haha. Thanks for sharing! Who else was a tad lost when making their Christmas list this year? The things I wanted really couldn’t fit under our tree; a new couch and a successful writing career. Our couch will be replaced eventually but I am working diligently on making the writing career dream a reality. Here are some great gift ideas for your favorite aspiring writer! Also take the time to check out Jen’s Pen Den and Ronovan Writes! Both are wonderful people with positive, uplifting blogs! I just stumbled across this blog post via Twitter and downloaded all of the books, they seem quite promising and helpful for authors. Free is never bad! Go get your copies while they are still free. Thanks for sharing, downloaded all of them! Forty thousand words in one day? Were you mainlining coffee? THANK YOU JENAPENDEN FRO GIVING RONOVAN THE PODIUM TO GIVE EVERY WRITER THE FREE CHRSITMAS GIFTS THAT WILL KEEP ON GIVING FOR YEARS! Thank you for free downloads. I will be needing them before this year is over. More free writing books! I love Building Your Book for Kindle and the Smashwords books by Mark Coker are very comprehensive to help you on Smashwords.